How expensive is Iceland? A beer will cost you $12. A simple hamburger at a truck stop routinely sells for $22, fries included, reluctantly of course. Iceland is not a budget-friendly destination. Unless you’re Warren Buffet, Iceland is very expensive. Visiting Iceland is like having “airport prices” on everything all the time. Why is Iceland so expensive? Perhaps it’s the transport of goods over the North Atlantic and Arctic Oceans. Taxes are definitely part of it. The VAT, value added tax, on food is 11% and nearly 24% on everything else. The standard of living in Iceland is the fourth highest in the world according to Numbeo.com. And, according to the Organization for Economic Co-operation and Development labor costs in Iceland top the list as the most expensive in the world. With just over a 300,000 population, Icelanders don’t really know any better and sticker shock doesn’t exist. Their seemingly full-throttle “Visit Iceland” campaign is genius. Heard of Wow Airlines? This bargain-based Icelandic airline offers prices as low as $199 from Los Angeles to Paris, each way. The genius part is that they layover in Reykjavik. 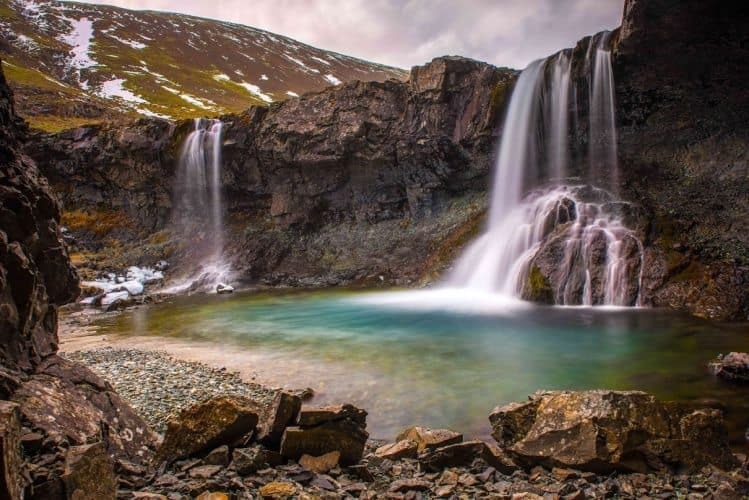 They offer lengthier layovers so that you can add Iceland on your vacation itinerary. “A WOW Stopover gives you time to visit Iceland on your way to WOW air’s destinations in Europe and North America. It’s almost like getting two vacations for the price of one,” says their website. Whoopee! Wow! Take out a second mortgage first. 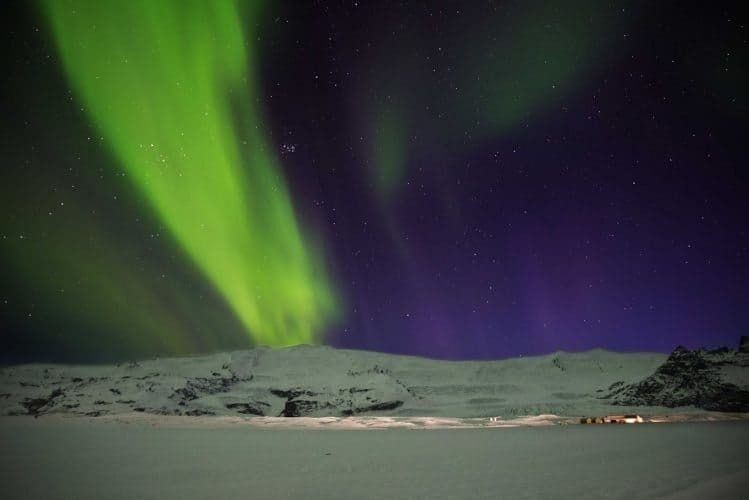 Tony Prower of IcelandAurora Photo Tours believes he’s also partly to blame for the increase in tourism here. 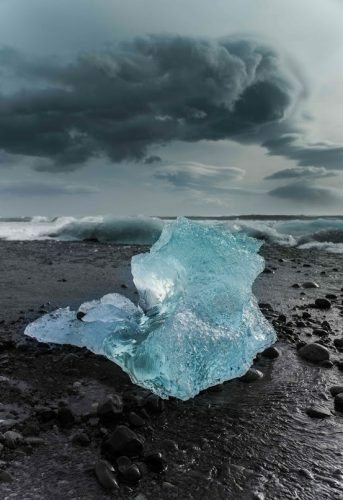 He claims his landscape pictures, each one a masterpiece, and photography workshops has helped summon photo-snapping enthusiasts and professionals alike to check Iceland off their photographic bucket list. He may have a point. That’s what got me to sign up for a workshop. So, how does one see and visit Iceland on an affordable budget? Go with a photo workshop. There are many to choose from. For the not-so-adventurous type there are daily photo tours. They’ll bus you around to the sights and give you snapshot time at some of the more popular spots. For everyone else, try Iceland/Aurora Photo Tours with Tony Prower. This five-day landscape photography workshop is a whirlwind of sights and photo insights that Tony shares similarly to a master chef explaining how to make Tiramisu on TV. 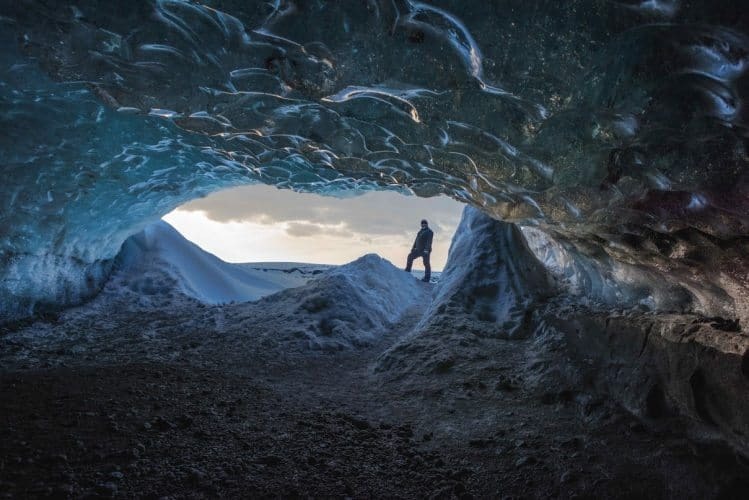 Tony, a 13-year resident of Iceland, seemingly knows every nook and cranny of the country as well as when to photograph it to get the best light. Whether it’s winter or summer Tony has probably been there to shoot it at every angle at sunrise, sunset, midday or the middle of the night. His workshop will leave you wishing you had more hours in the day to pour over the pictures you shot during the often 12- to 14-hour a day shoots. Just when you think you have down time, the Aurora makes an appearance and off you go, chasing the lights. From the moment Tony picks you up from your Reykjavik hotel he’s imparting landscape photography theory; composition, light, shadows, contrast, “the magic towel” technique, optimal camera settings. He claims the best way to approach landscape photography is to “let the land speak to you.” I believe this means not to have any perceived ideas about the scene. It’s deep stuff and possibly what makes photography a bit spiritual. Chasing the Northern Lights or the Aurora Borealis is Tony’s specialty. Follow his lead and you’ll get great images. “Don’t like the weather? Wait five minutes,” as the old Icelandic saying goes. Extreme weather is probably going to happen during a week-long stay. During my week I experienced 77-mph winds on a beach, snow, rain, beautiful sunshine, sub-freezing temperatures, and a balmy 44F (Summer temperatures). 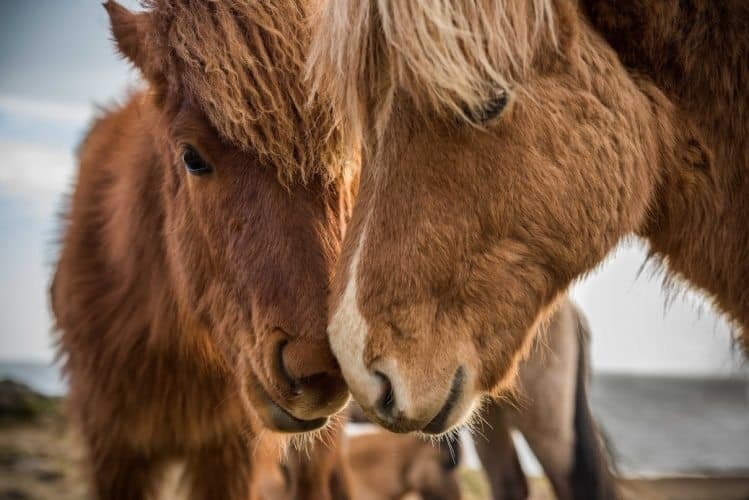 For those wanting to visit Iceland but are afraid of the cost, consider a photography workshop during your stay in Iceland. This alternative-style vacation will no doubt leave you with a visual record of your stay and possibly a few dollars not spent. There is the initial cost of the workshop but usually hotel and transportation costs are included. This alone could pay for itself. The other ways to make Iceland affordable are to avoid too many bars, eating out, taxis, buying clothes or trinkets. A pair of good water resistant snow pants that sell in the U.S. for $120 can easily fetch $500 in Reykjavik. Do you just have to have one of those cute wool sweaters or hats? Bring one from home and save yourself $100’s. Be prepared with your clothing. Read Tony’s website on what to wear. He’s big on layers and no jeans. Bring enough computer storage for photos. Whether it’s additional memory cards or an external hard-drive don’t make the mistake I did and forget to bring it. Don’t like fish? Try the lamb or meatballs. If you do like fish, you’re in for a treat. Arctic Char is a common menu item. This salmon/trout like fish is famous in Iceland and it doesn’t get any better than here. Steamed or smoked, this fish will melt in your mouth. The breakfast buffets can be grand as well. Fresh bread, jams, cheeses, herring, cereal, eggs, bacon, cold cuts were all included at the hotel during the workshop. The Icelandic language can make you feel like you’re hearing the Chef from Sesame Street except he’s drunk and under 40 fathoms of Arctic ocean water and has a hot potato in his mouth. With names like which sound like “I have to have a yogurt,” it’s best to have a guide. Sure, practice a few phrases from YouTube if you want to feel better. But, don’t try and read any and make sense of it. The pronunciation is just downright cruel to English speakers. Worrier’s Guide to the End of the World: What Could Go Wrong?